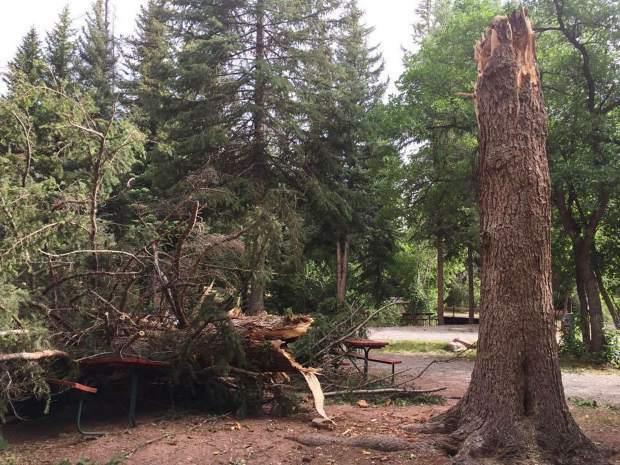 As many as five massive trees fell within 45 minutes during a wind storm at the Elk Creek Campground on Monday. The strong winds snapped as many as five massive conifer trees, one of which would have collapsed on top of the Wetherbees had it not been for their camper. 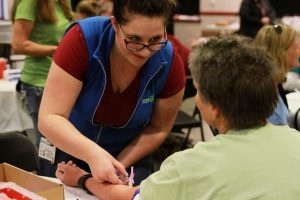 Darla Dean, who helps out at the campground, estimated that the storm started around 5 p.m., and all the trees fell within 45 minutes. Workers were clearing up the fallen trees. The campground is open for camping for the rest of the summer. While nobody was injured, the damage to the Wetherbee camper was substantial, and they are looking for someone to assess the damage and see if it can be salvaged.